Dunmore’s Roll-to-Roll smartphone app was rated as one of the Top 10 New Products for 2014 by Paper, Film & Foil Converter (PFFC) readers. To determine the top ten new products, PFFC tallies click-troughs from its E-clips newsletter. 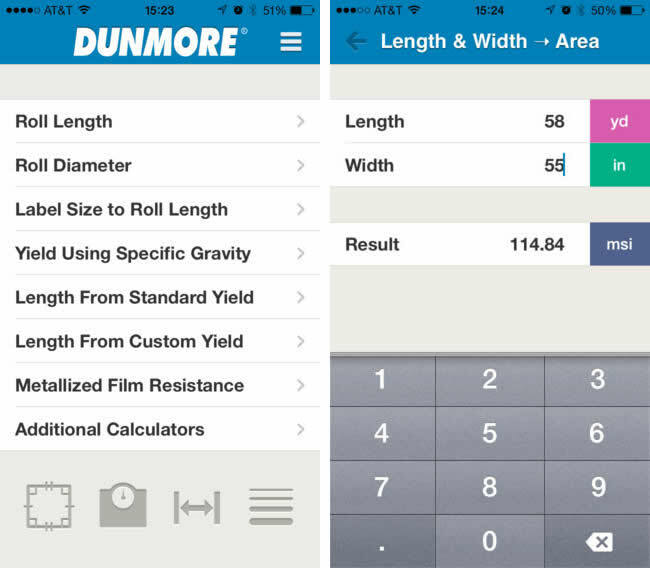 Dunmore’s Roll-to-Roll Conversion calculator was fourth most popular. The Roll-to-Roll Conversion Calculator includes a comprehensive list of conversions useful for label converters or professionals working with continuous web substrates. The free application conveniently places common calculators including, roll diameter, roll length, area, weight and more in one place. Details on the app and download instructions can be found on Dunmore’s website (http://www.dunmore.com/roll-to-roll/). Since 1927, PFFC (http://www.pffc-online.com/) has provided an unbiased perspective on the business trends and technical innovations shaping the converting industry. PFFC is an on-line resource in which recognized experts and experienced staff assist converters around the world to become more efficient and profitable in their manufacturing and business practices. 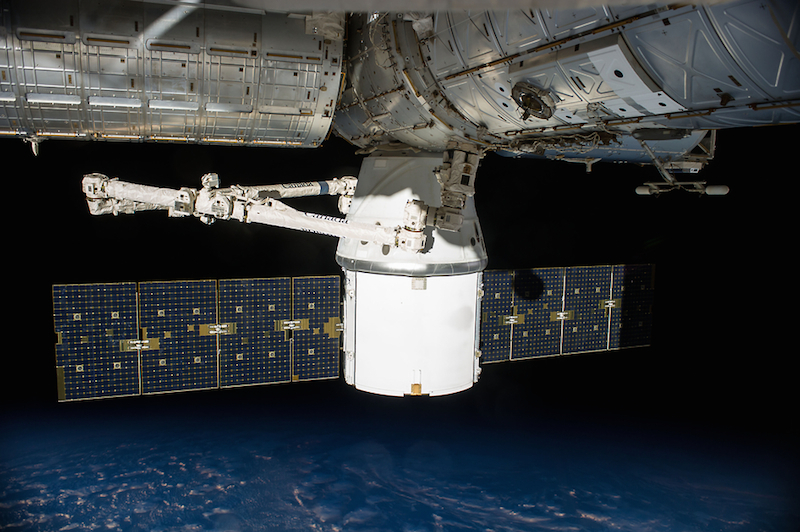 The year 2014 was a significant one for space related endeavors, both milestones and anniversaries alike. Opportunity, our little Mars rover friend, is celebrating 10 Earth years in operation and has set the off-planet traveled distance record of 40 kilometers. Way to go little guy! Curiosity, the Mars rover known for its 7 minutes of terror landing in 2012, celebrated its first Martian year (687 Earth days) on the red planet on June 24th. You can expect this heavy-lifting Jet Propulsion Laboratory (JPL) rover to continue operations through 2015 and beyond. Speaking of Mars, in September 2014 the red planet received two new satellites, NASA Goddard’s MAVEN and ISRO’s MOM. Both satellites are monitoring and measuring the Martian atmosphere for key elements and compounds that may uncover the history of the planet. The Rosetta mission, after venturing 10 years to get to comet 67P, launched its Philae lander to the comet’s surface in November 2014. This European Space Agency (ESA) mission was the first to ever successfully land onto the surface of a comet, although the mission is in question after power failed on the lander. 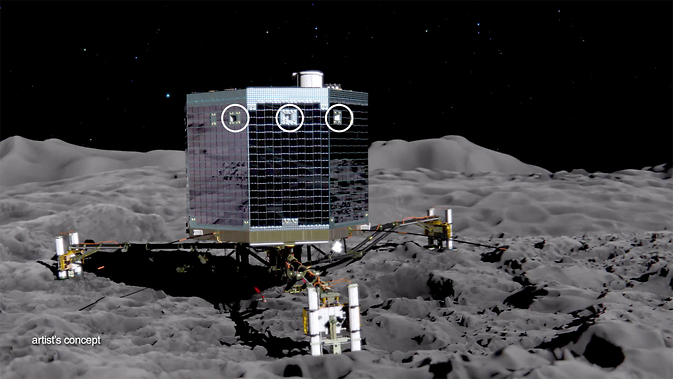 Little Philae and its orbiter counterpart is truly a feat of the ages. Rosetta is expected to send data back to Earth at least until December of 2015. The commercial space industry had a significant year, although not without sacrifices. The losses of Virgin Galactic SpaceShipTwo’s co-pilot Michael Alsbury, Orbital Science’s Antares rocket and its payloads, and SpaceX’s Falcon 9 Grasshopper test-bed in August show that human sacrifice and highly-experimental spaceflight is not without trials and tribulations. NASA’s Lunar Atmosphere and Dust Environment Explorer (LADEE), launched in September 2013, received instant celeb-status from its frog-laden launch, which made national news. More recently, LADEE executed its planned crash landing into the far-side of the moon, as planned in April 2014. The moon-satellite was designed to study the pre-sunrise glow that was witnessed during the Apollo missions in addition to studying the lunar atmosphere and its structure. From Apollo-aged myths to 21st century milestones, LADEE studied the moon beyond its 100-day science mission around the moon and utilized NASA’s first dedicated two-way communication laser instead of radio transmissions. The James Webb Space Telescope (JWST), designed to replace the Hubble Space Telescope (HST), also reached critical milestones in its development. Such milestones included finalization and testing of its solar shield, which is the size of a tennis court. JWST is expected to be ready for launch by 2016. 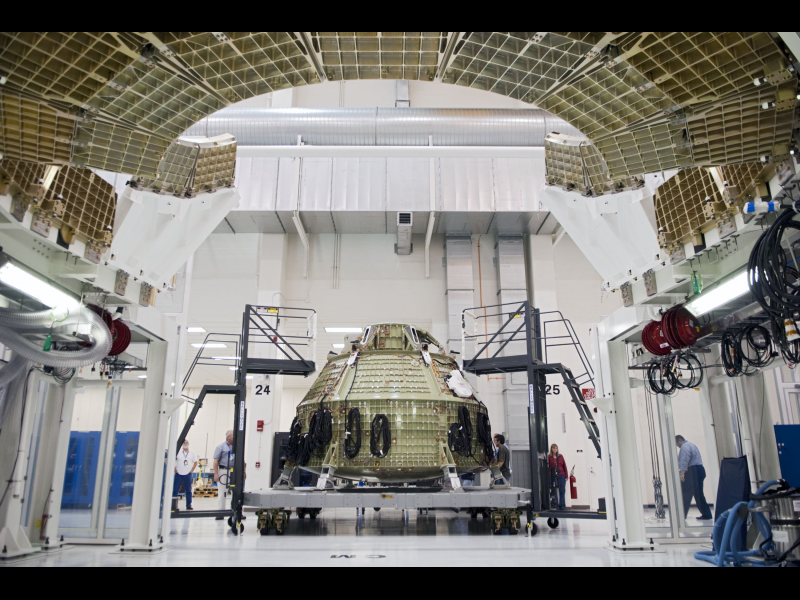 While all of the above have truly made 2014 a space-milestone year, NASA’s successful test flight of its Orion capsule on December 5th, 2014 may have been the most important event. What’s the big deal about this seemingly Apollo replica? Orion, and its proposed crew of 4 astronauts, is the Space Shuttle of the 2020s. However, instead of merely flying back and forth to the ISS and capturing and deploying satellites, Orion will take humans farther than they have ever been: to an asteroid, to Mars, and possibly even out of the solar system. This first successful test flight is the dawn of a new era with roots in the space race of the 60s with the technology, aided by Dunmore materials, to propel mankind beyond the Earth and Moon. Don't want to miss any of this this awesome content? Sign up now for email notifications! Copyright © DUNMORE Corporation. All rights reserved. Privacy Statement.